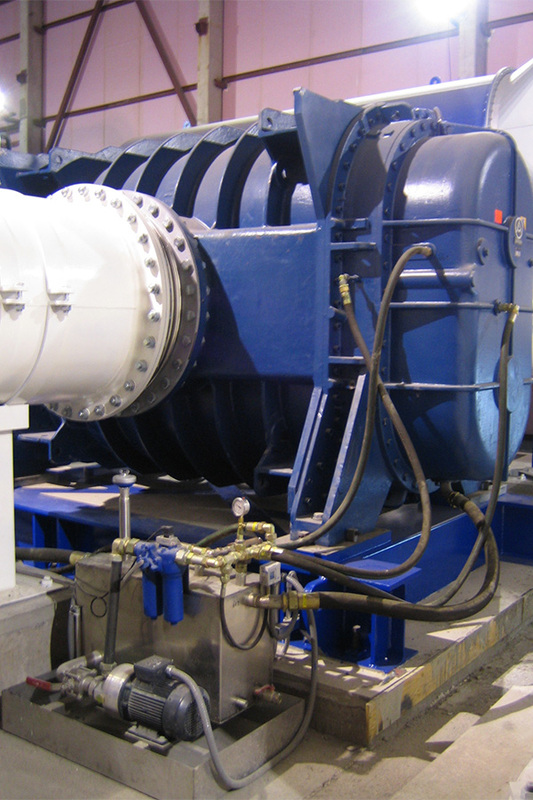 ProcessVac-pump-sets are single stage or multi stage units with a combination of several single pumping types of rotary lube blowers or rotary lube blowers with a radial turbo blower as first stage. 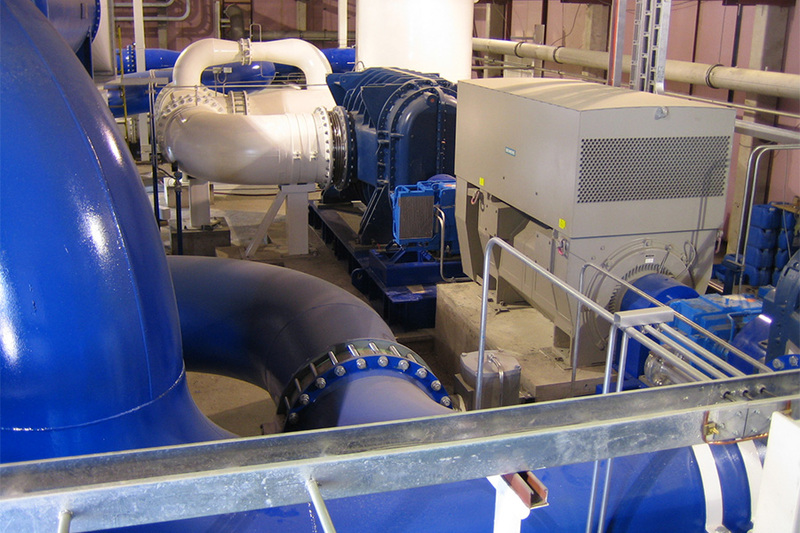 For many applications in industry and research it is not possible to fulfil all process requirements with single stage pumps. 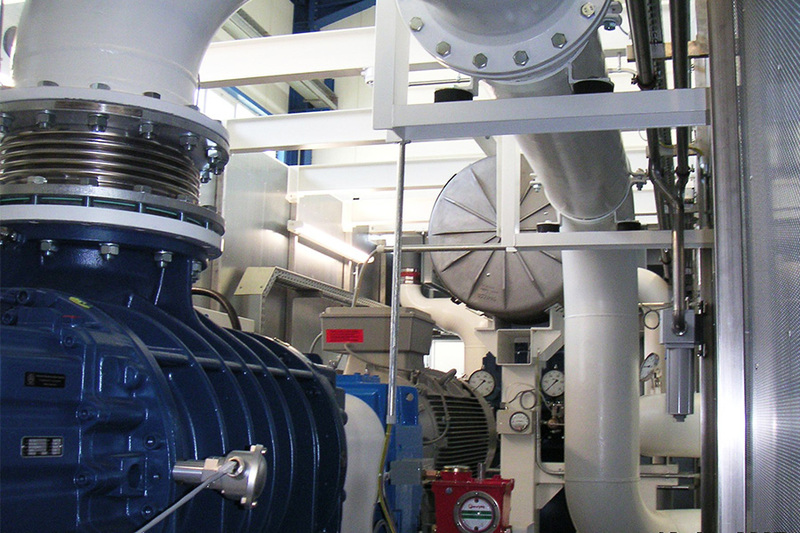 In these cases multi - stage pump-sets combining different pump types will be used which differ with respect to the cooling systems and the individual application. the minimization of investment cost. Single stage air preinletcooled rotary lube blowers up to 36000 m3/h suction capacity and up to 400 - 200 mbar (a) suction pressure. 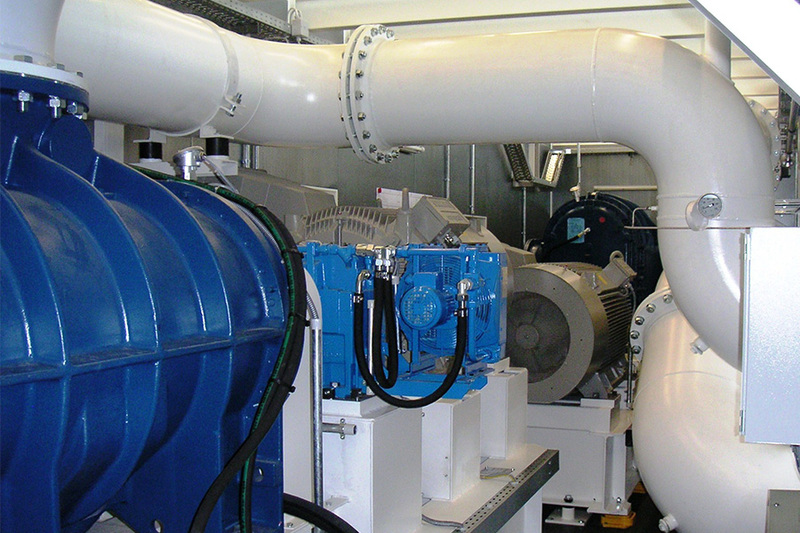 Turbo rotary piston vacuum pumps-sets for VSA and PVSA-systems up to 100.000 m3/h. Multistage vacuum pumps-sets for rough, fine and high vacuum. First stage rotary lube blower without preinlet cooling, second stage rotary lube blower with preinlet cooling by air. Up to 50000 m3/h suction capacity and up to 200 mbar (a) suction pressure. First stage radial turbo blower, second stage rotary lube blower with preinlet-cooling by air. 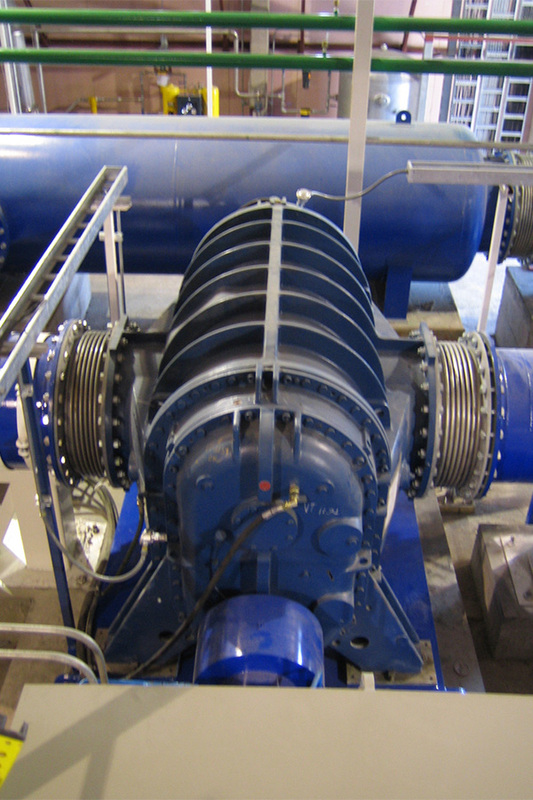 From 50000 m3/h larger up to 100000 m3/h suction capacity and up to 200 mbar (a) suction pressure. 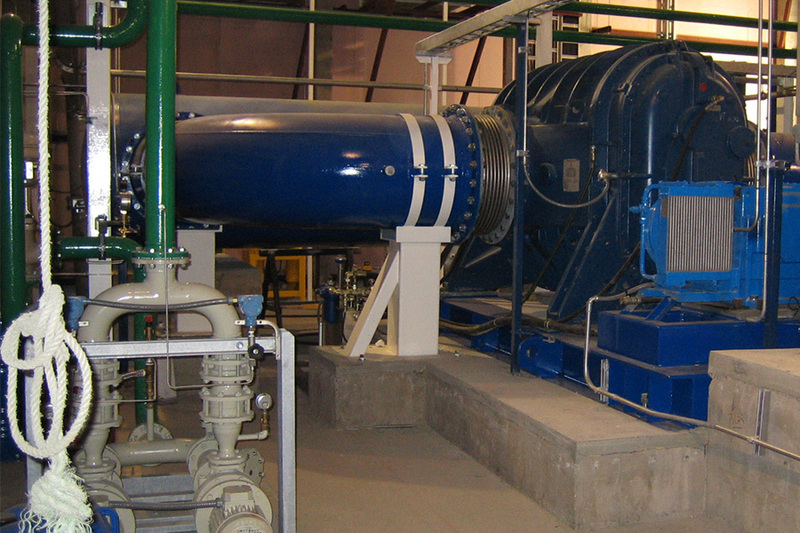 First stage rotary lube blower with preinlet cooling by processgas, second or third stage rotary lube blower with preinlet-cooling by processgas. All interstages are cooled by water cooler. Up to 60000 m3/h suction capacity and up to 100 mbar (a) suction pressure. 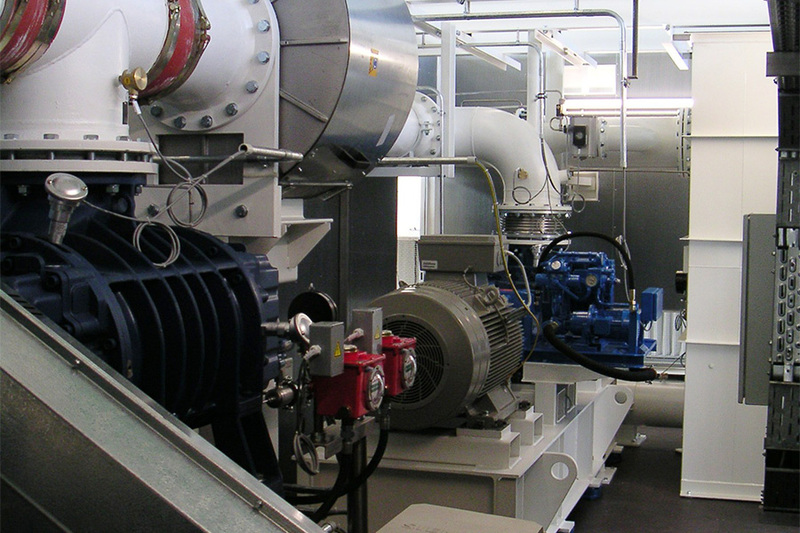 First stage radial turbo blower, second or third stage rotary lube blower with preinlet-cooling by processgas. 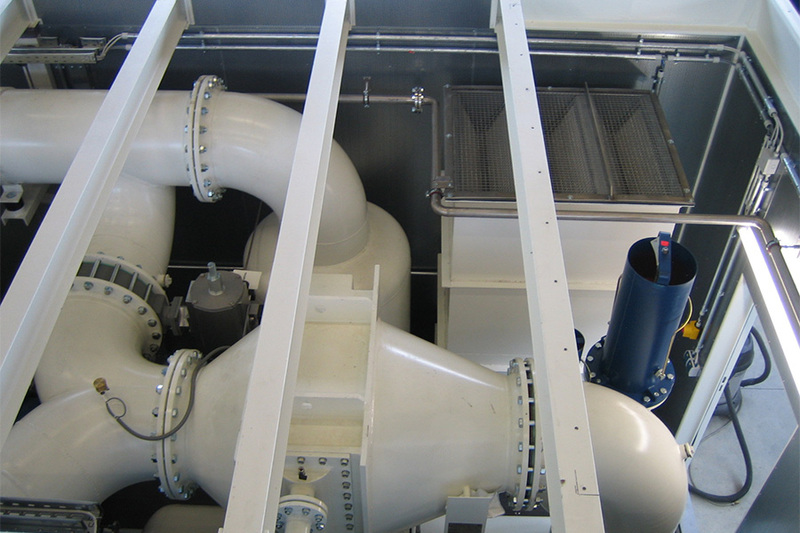 All interstages are cooled by water coolers. Up to 120000 m3/h suction capacity and up to 100 mbar (a) suction pressure. Multi stage fine vacuum pump-sets. First and second stage rotary lube fine vacuum blowers without interstage cooling third and or fourth stage rotary lube blowers with preinlet-cooling by processgas. Up to 80000 m3/h suction capacity and up to 10-3 mbar (a) suction pressure. The pumping stages will be driven via a coupling or an intermediate gear drive or pulley shaft drive. The pump- sets are prefabricated, with gear boxes and common low/ high voltage motor for first and second machine stage. The components are assembled on a basic machine frame with blower stages, gear boxes and motor. The pump- sets further include pre-inlet silencer, outlet silencer and discharge blow off adsorption silencer, piping fittings and instrumentation, structural steel pipe supports. First stage is a rotary lube blower or turbo blower, second stage is a preinlet cooled rotary lube blower. The gas leaving the first vacuum pump stage with out preinlet cooling at high temperature is fed to the inlet of the second vacuum pump stage without the interposition of cooling by water injection or by a water or air cooled heat exchanger. 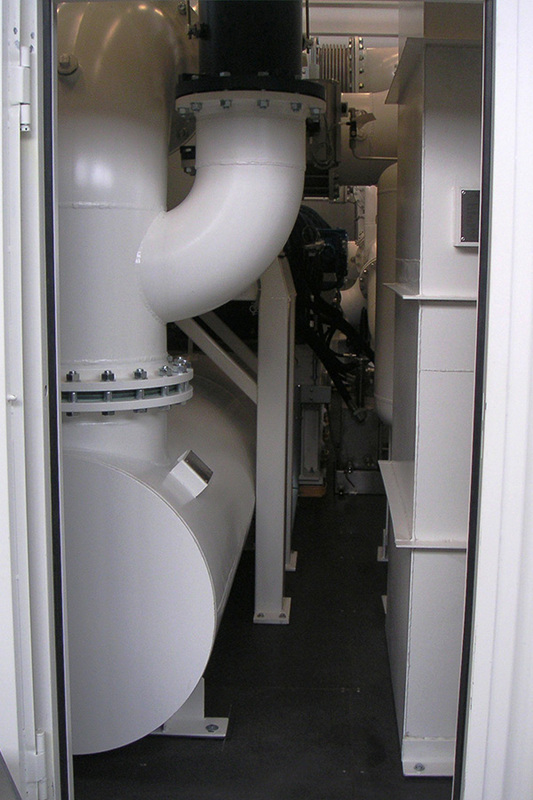 Before the rotary piston of the preinlet stage opens the conveying chamber to the pressure side of the machine, cooling air from the preinlet channel from atmosphere enters into the conveying chamber and air/gas is mixed with the air/gas conveyed from the suction side of the pumpstage and compresses the mixed air/gas at lower temperature level to atmospheric pressure. Customer and application oriented design. Selection of the pump-set stages corresponding to the process requirements with respect to gas quantity, gas type, final pressure, suction temperature and sealing. Low energy consumption due to an optimized, computer aided design. High volumetric and mechanical efficiency due to optimized staging of the pump-set, speed and type of drive unit. 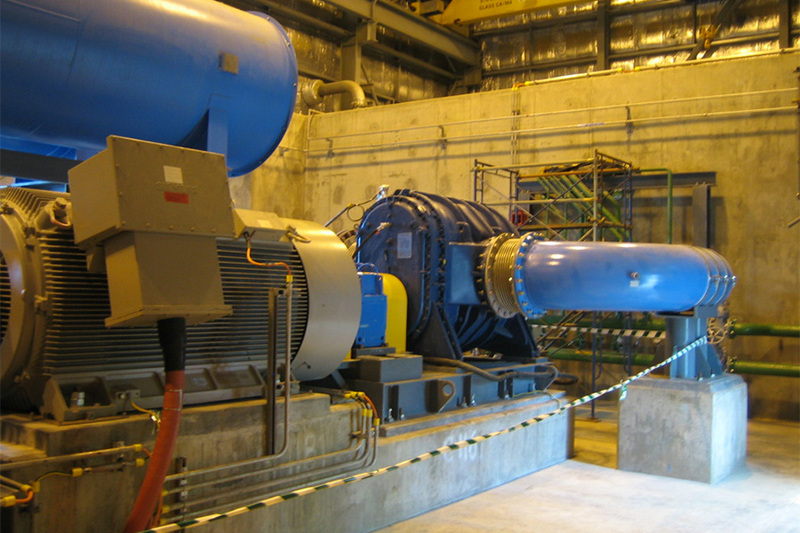 Further improvement of the volumetric efficiency due to rotor clearance adaption to the operating temperature encountered. Special sealing of the conveying chamber to the gear box to prevent a backflow of oil into the conveying chamber. 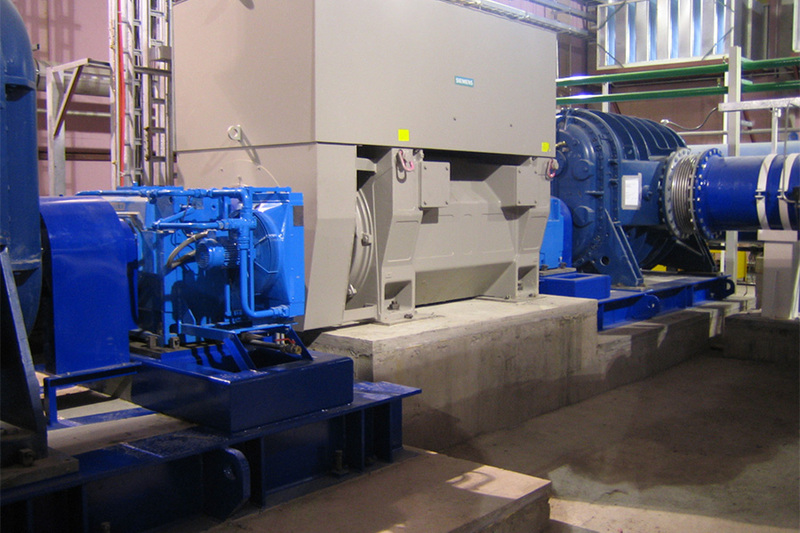 Minimization of the motor capacity installed by choosing an optimum kind of drive. 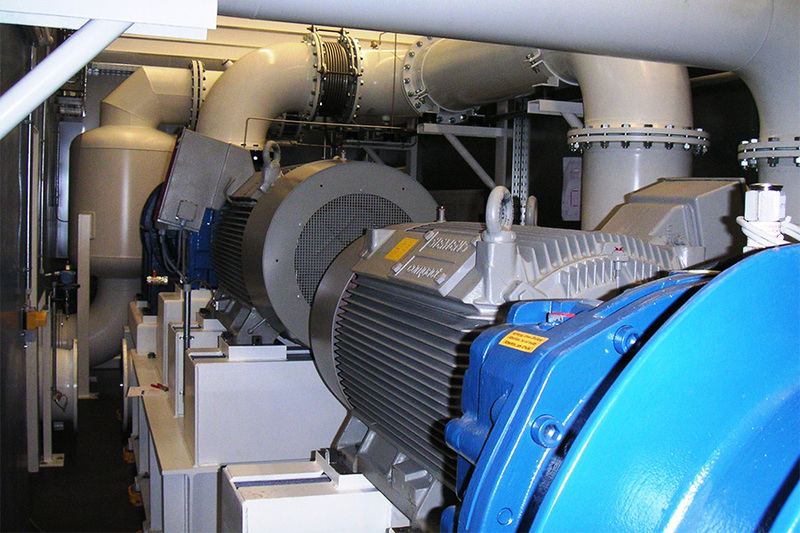 Low maintenance cost due to interchangeable rotor wear strips made of stainless steel. 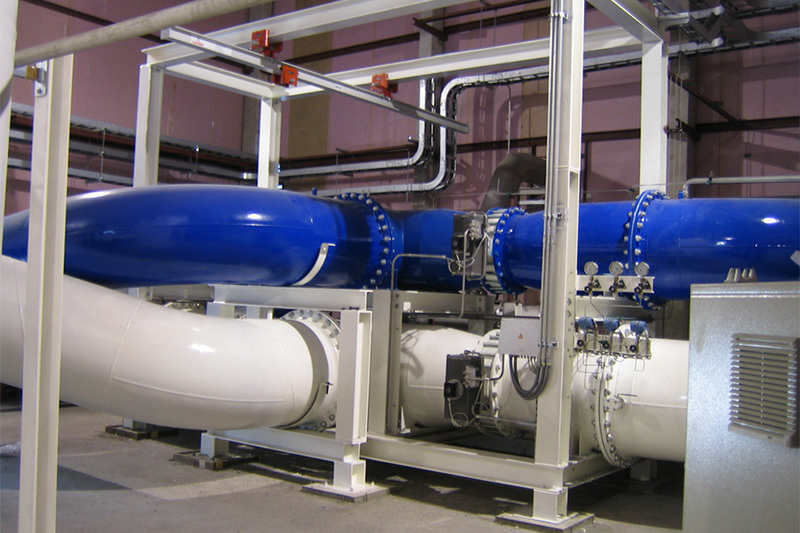 Minimization of space requirements and piping layout due to an optimized installation layout of the pump-set taking into consideration the maintenance requirements. Adaptation of the blower lubrication to the individual blower speed.